¿O será esta otra mi nueva compañera para BERLÍN 2011? The Mizuno Wave Creation is Mizuno’s leading cushioning shoe and it is designed for runners who are simply looking maximum comfort and a luxurious fit. The creations unique “Infinity Wave” construction combined with a full forefoot wave gives the Mizuno Wave Creation a responsive and springy ride that really lasts and has gained a good reputation. So what’s new? The Mizuno Wave Creation 12 has been updated with Mizuno’s latest evolution of Smoothride technology featuring flex controllers in the forefoot. The controllers are specifically designed to give a more energy efficient and effortless ride as they allow easy flex at first and then offer a firmer base to “toe off” against. 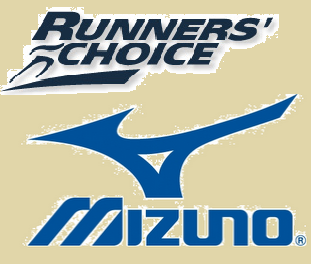 What Mizuno say: The fit of the Mizuno Wave Creation 12 has been enhanced and the result is an all over improvement in comfort and performance that you can feel instantly but becomes even more evident after a few miles. Its excellent heel and midfoot fit is complemented in the forefoot with stretch mesh that gently holds the foot. There are a host of other features to mention, including the AP+ midsole and a Dynamotion Fit Upper that mirrors the movement of your foot stride after stride. Gender engineering ensures that the performance of shoe is optimised for both Genders. 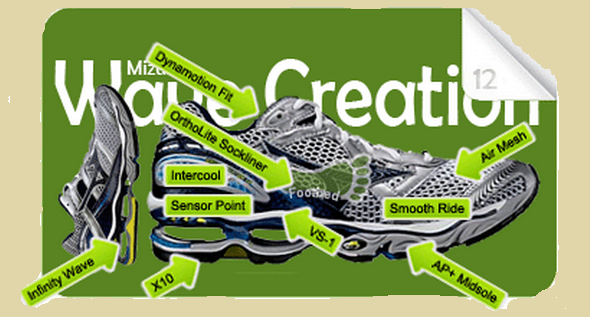 The Mizuno Flagship shoe, Wave Creation Series is one of the best shock dispersion running shoe with exception fit in the market. The latest generation, Mizuno Wave Creation 12 still have the same characteristic runners love plus larger flex grooves for a more natural feel. AP+ Midsole™ : Is Mizuno's top of the line full length midsole copolymer material that is lighter weight and has better energy return than AP : AP Midsole™ : Acceleration Polymer Responsive Midsole : Lightweight high rebound midsole material to give greater momentum at take-off. Dynamotion Fit Technology™ : Traditional footwear distorts during the stress of the gait cycle, causing heel slippage, poor fit and wasted energy. The Dynamotion Fit Technology relieves this stress through its high-tech construction, thereby ensuring a proper fit, maximized performance and an enhanced running experience. Infinity Wave™ : Provides the ultimate in cushioning, rebound and durability by reducing the shoes reliance on midsole foam. Wave™ Plate : Cushioning and Stability. The only technology that combines two distinctly different elements that are both inherently necessary in great athletic shoes. Sensorpoint™ : Stability and Traction. 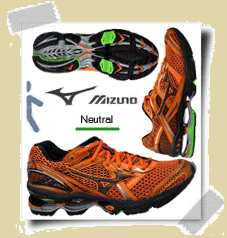 Mizuno's revolutionary new suspension system which uses studs that connect the Wave® plate directly to the ground, thereby enhancing stability and traction. VS-1™ : Absorbs shock and enhances cushioning properties by resisting compression-set, thus extending the cushioning life of the shoe.